You can rest assured that we’ll have plenty of customs and mid-techs to show off after this weekend – it is BLADE Show 2018, after all! In the meantime, check out the ones we got in before we left town. 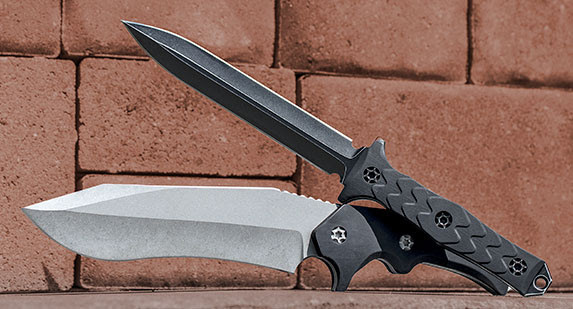 Dew Hara learned to build tactical folders under Tony Marfione, and you can definitely see the design influence on many of these combat-ready knives. We still have a couple Prototype Noah and Kabuto models left, as well as his compact Kisaragi model that is perfectly sized for everyday carry. Hailing from a knifemaking family, Trevor Burger makes some of the most precise handmade knives anywhere in the world. His work is best compared to a fellow South African, Jason Guthrie. 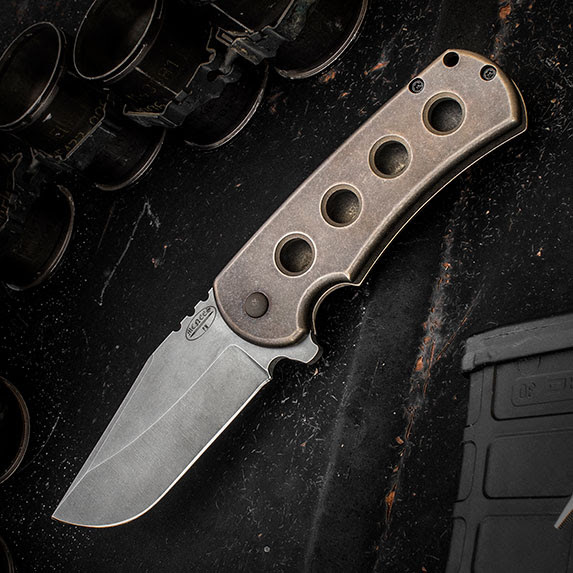 Trevor’s EXK front flipper is just as versatile as Jason’s world-renowned Ranger or Scout. The Dredd by Urban Tactical (Mikkel Willumsen) is a fantastic semi-custom at a great price. Deemed semi-custom because all the scales and blades are done in batches, each is hand tuned and finished by Mikkel (the same as his customs). The Dredd is one of his most straightforward and crowd-pleasing designs yet. 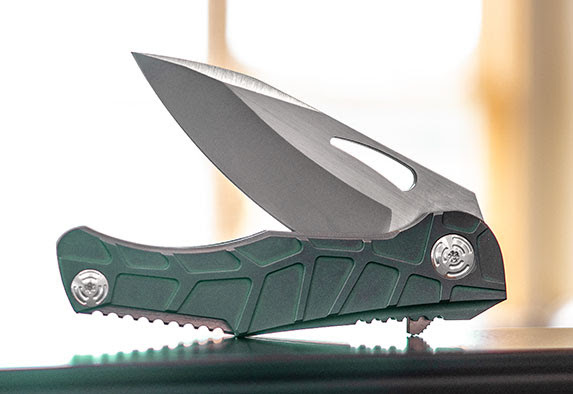 If you want to stay below the $100 price point, we have the production version, as well – the Dreed from Boker Plus. We have a pair of handmade customs from Jonathan, as well as a few of his Performance Machined PM-1 models which are solid alternatives that provide handmade quality at a mid-tech price. Considering the amount of hand finishing he performed on each one, semi-custom is a moniker that definitely fits here. If you want a knife that just plain feels good in the hand and gets the job done, Aaron Frederick has a design for you. This former US Navy Serviceman knows what features make a good knife, and he learned from one of the best…John W. Smith. 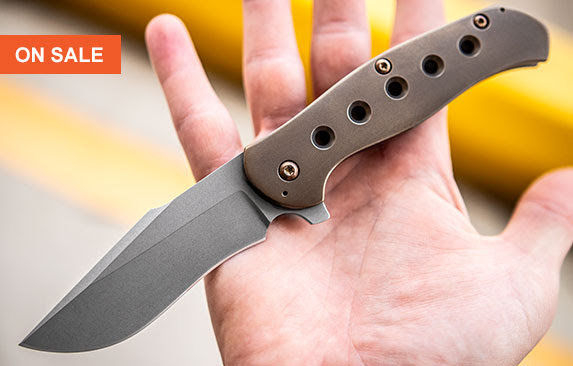 TJ Marfione makes some of the premier tactical fixed blades that money can buy, yet his knives don’t get nearly the publicity that they deserve. The Nephilim combat dagger and Seraphim sub-hilt fighter are just two examples of his work that are designed to excel in real-world combat situations. 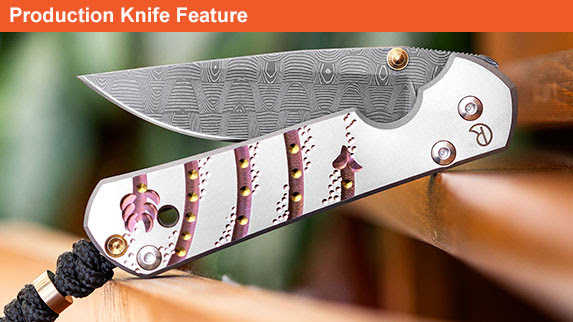 LVKnives is comprised of the work of Ray Laconico and Mike Vagnino. They take aspects of each of their knives to create something unique that is still up to the quality their customers have come to expect. 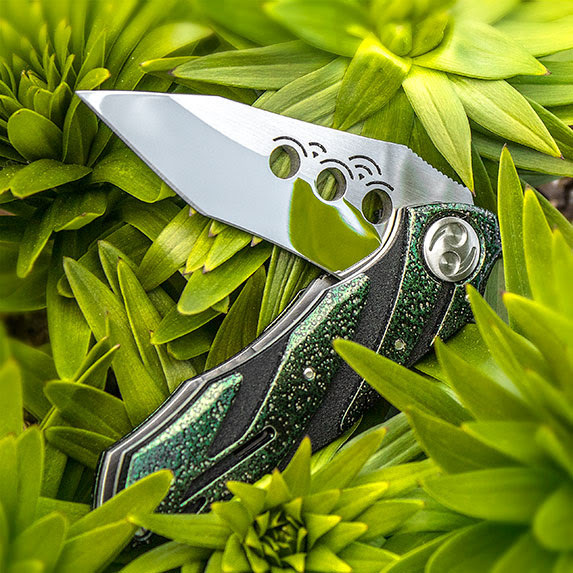 We’re astonished the brand never took off, so we’re putting them on sale to entice you further into trying out one of these top-notch EDC knives. 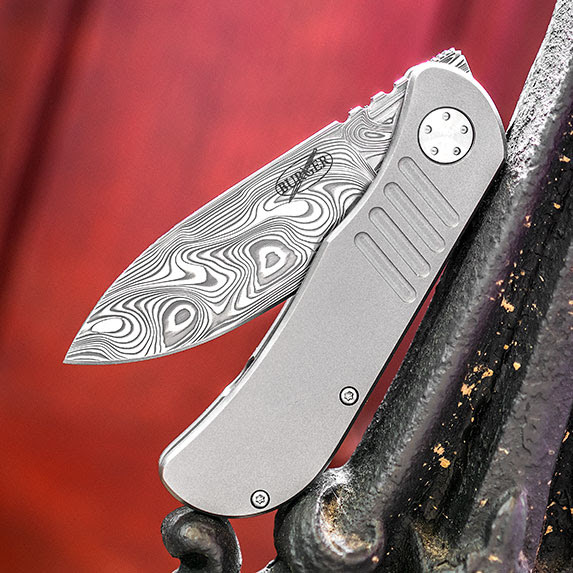 These exceptional Unique Graphic Sebenzas are industry standard folding knives that offer subtle flair. 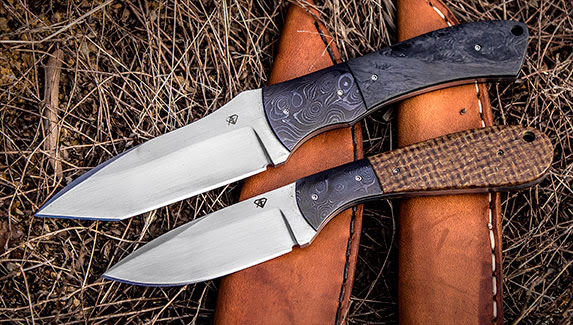 Outfitted with Devin Thomas Basketweave Damascus blades and a rustic copper and gold motif that extends to the lanyard accessories and the thumb lug, these are some of our favorite Chris Reeve one-offs to date. We are heading down to BLADE Show this weekend and fully expect to come back with some amazing pieces. We get new Customs and Mid-Techs in every day, so please email us at support@knifecenter.com with any inquiries.